Each character was an 8 X 8 matrix of pixels By turning individual pixels on or off—you could make any characters desired. All the knowledge of binary came back to me (I have close to an eidetic memory) and in no time, I was quite competent in HEX. I taught my then 10 year old son HEX and Binary, (and some octal, too, but most of the octal he learned on his own) Then I taught his 6th grade class too, as a guest--when his teacher and the school principle learned I knew and had taught my son. And almost immediately, just as I recognized the connection between hex and bin, I recognized the connection between bin and knitting. Every since I saw the connection, I've thought it would be fun to knit a message, using binary code (0=Knit, 1=Purl) but like many an idea, its been sitting on a back (way back!) burner for years. is spelled out in knits and purls. (space)TRUTH(dot)(space) the last set of 8 characters—The final grid. 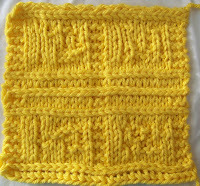 Each 8 X 8 grid is outlined in stocking knit (so 3 stitches in garter (edging) a single stocking knit stitch, 8 stitches of binary code, another single stocking knit stitch, 2 stitches in garter, stocking knit, 8 stitches of binary, a stocking knit stitch, and finally, an other garter stitch border. (28 stitches in each row)--just incase you want to try to read/decode the message. 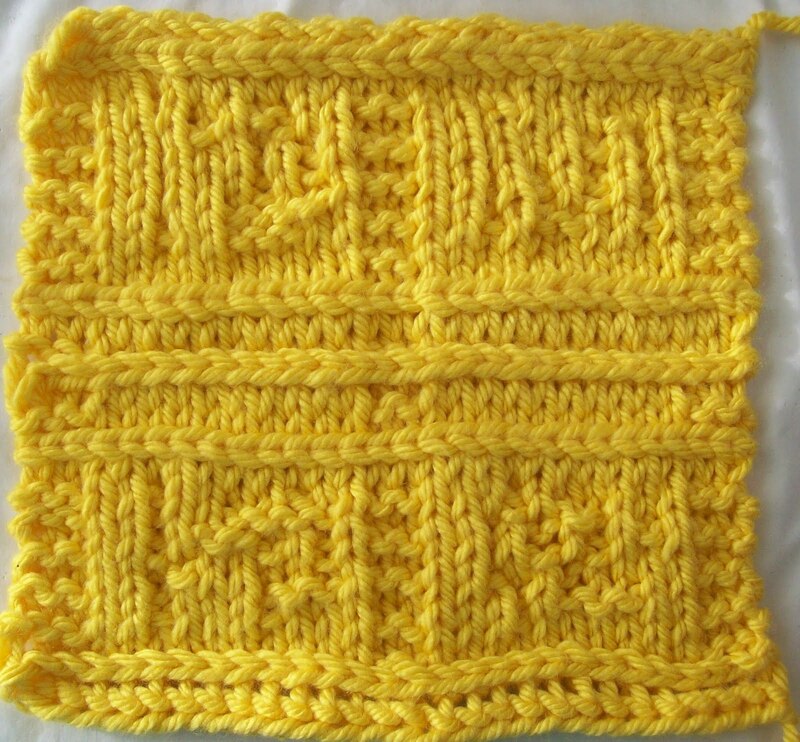 Between the blocks of binary text, there some cross wise rows of stocking knit (top, middle and bottom)AKA Continuous Cross Stritch). The cast on and Cast off are my matching double chain ones. Which also create cross wise bands of chain stitches--and a unifying design element. Or to come see to the Maker's Faire and enjoy! this is amazing :) My 3 year old has been writing messages in 1's and 0's (the only numbers she can write) so I've been teaching her binary. Now I can knit what she writes, thanks for the idea!